Boring walls, bad atmosphere, sad ambience – does this ring any bells? Is your office functional but not very motivating? Are the walls closing in on you rather than providing inspiration and new ideas? Enough already! Life is colourful, work can be exciting, and choosing the right office wallpaper can have an enormous impact on the general spirit in your work environment. Motifs taken from Mother Nature’s rich treasures, flowery patterns, brightly coloured geometric designs or elegant leather wallpapers will meet anyone’s requirements and make sure your working day is a doddle. If something is just not right in a room, it will disturb your concentration - be it in your home study or your place of work. A harmonious environment is based on many elements - from appropriate lighting to cleverly chosen wall décor – and creates the necessary motivation and an element of fun. 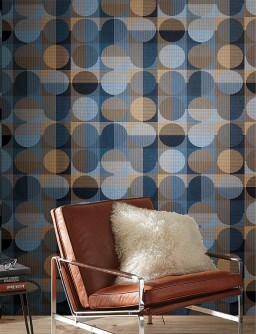 Even the most creative brains need inspiration, and our patterned wallpapers and murals provide just that. Let your thoughts roam freely, and your concentration will benefit enormously. But colours and materials are equally important. Out with the old, in with the new – your body and mind will thank you. As Confucius said: Choose a job you love, and you will never have to work a day in your life. And your office décor plays an important role in achieving this goal. 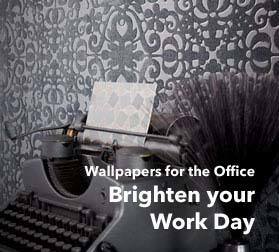 Our huge range of fantastic office wallpapers offers all the choice you could wish for in order to improve your creativity and motivation. Working 9 to 5 whilst staring at a dull white wall hardly makes for the best environment to come up with innovative ideas. This is why we think that office wallpapers are the most suitable style element to prevent monotony and routine. Choose fresh flower motifs, vibrant graphical designs or natural wallpapers. It is a well-known fact that interior design has a major impact on many psychological processes. Colours and patterns can be true magicians when it comes to creating the right atmosphere. 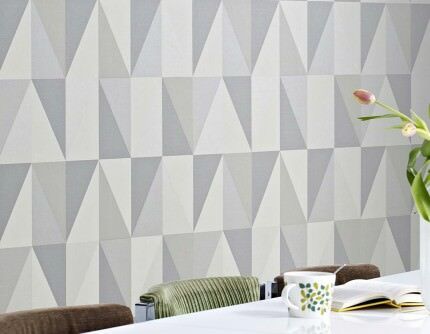 Office wallpapers, in particular, are not standard or "off the peg" products but clever design elements that will "shape" a room and adapt to specific work requirements. After all, office work has many faces. 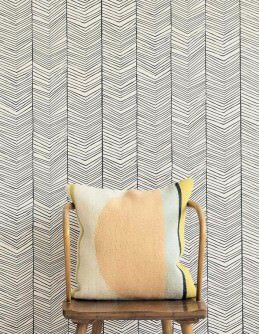 The wallpaper you select for an external office, a home office or a privately used study can make tackling your daily duties a joy: it can be stimulating and/or provide a touch of relaxation. Order your pattern wallpapers, structured wallpapers, office wall décor in a variety of surface materials, a huge array of colours, fantastic characteristics and top quality in our Wallpapers from the 70s Online Shop. For public offices with a large number of employees or frequent client visits, we offer "made-to-measure" solutions which will also meet fire regulations and cleaning requirements. The tasks performed in an office are many and varied, and all geared towards specific professional activities. Offices and studies are home to many different departments like accounts, organisation, administration, concept and/or product development, writing or creative activities. 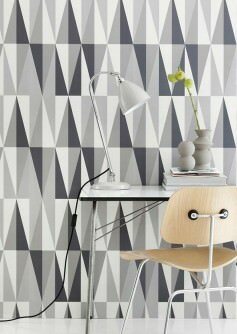 What do you actually expect from your office wallpaper in terms of interior design aspects? Should it convey a stimulating, relaxing feeling that also helps with concentration? 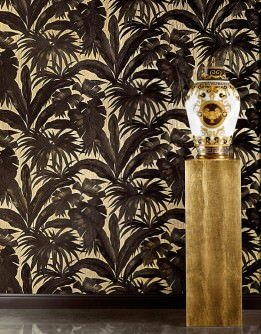 Is the wallpaper in your office meant to impress visitors and clients and create a favourable impression of the company and/or the interior design of your business premises? Or should the office wall décor point to specific business priorities, e.g. via a theme or colours lifted from the company logo? Freelance product designers or media creatives might wish for a wallpaper which inspires them, with intensive colours and structures, special effects and details. Geometric patterns, stripes, pictorial sceneries, romantic and nostalgic patterns, optical illusions, and three-dimensional designs are all examples for stunning office wallpapers that stimulate imagination and creativity. For a carpentry business or a supplier of spa facilities who will have clients visiting their premises, the wallpaper in their office should be a reflection of what their business offers. 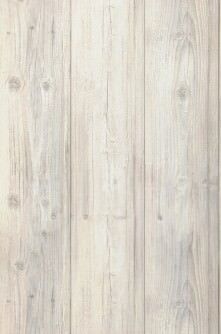 For example, a carpentry business might choose an arty wood imitation wall décor, as this is in direct relation to the work they do. A supplier of spa facilities might prefer business premise wallpapers which exude a sense of harmony, peace, relaxation and well-being, probably in warm and light colours. Authors, translators, novelists and copywriters require a more personal atmosphere to get the creative juices flowing. This could be achieved with a typography pattern or a clean-lined geometric pattern, or even a stylised floral design which will inspire new concepts and ideas. The right choice of patterns for wallpapers in offices can help with concentration and relax the eyes when it comes to screen work. Many short breaks will help the eye and mind to turn off for a short time in order to regain energy. 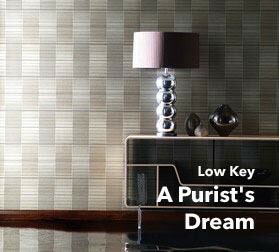 This is why calming yet interesting patterns and motifs are ideal for wall décor for offices as they help take a break and let the thoughts roam freely. Before we think about details, let's look at the various types of offices as this has a significant impact on the choice of office wallpaper. The study in your home is where you deal with personal paperwork like bills, tax returns and other correspondence, and it's obviously very different from a freelancer's home office, or premises with public access where clients visit. Every type of office has a different set of priorities, and in public office buildings there may also be specific health and safety regulations for wallpapers for business premises. 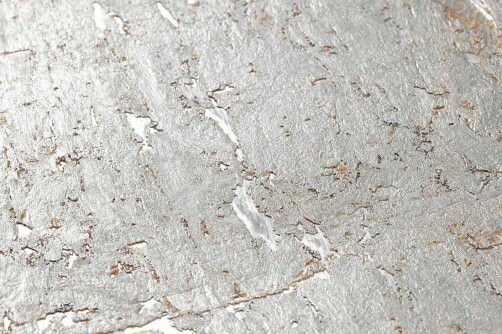 In buildings or areas with public traffic, for instance, the wallpapers need to adhere to fire regulations and thus need to have a "flame resistant" certificate. But those who work freelance or are self-employed might also decide to give fire-safety a priority - in some countries this is a requirement for specific tax cuts. Those of us who have a study for our own personal paperwork etc. are lucky. A separate room provides the necessary peace and quiet to carry out those tasks and its design should reflect the fact that it is different from other rooms in the house. 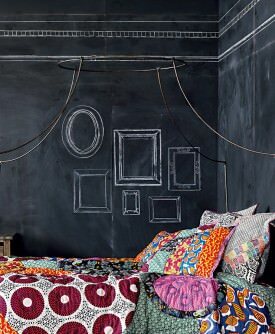 This can be achieved with furniture as well as wall décor. Of course there is no need to adhere to any rules and regulations in terms of fire protection or specific characteristics etc., so the choice is completely up to you. Personal pattern and motif preferences determine the selection, but don't forget that less is often more. When it comes to colours, wallpapers for private offices or studies should be on the lighter side so that even working in the evening can be done in a lively and positive atmosphere. Bright and garish colours are too distracting when trying to finish monotonous tasks. Tonal colour combinations or subtle shading of a particular colour as well as unobtrusive contrasts are the best choice. Special surface structures and unusual materials create a sense of movement in the room and provide an additional touch of well-being. 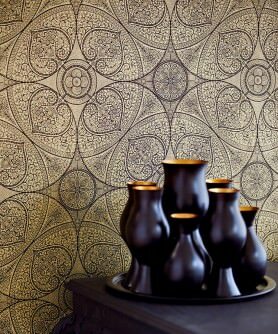 Find fabulous designs of leather, nature, textile, and glass bead wallpapers in our Wallpaper Shop. Self-employed people, freelancers, artists and many others increasingly work from home and use a specific room as a working space for their professional activities. This is where they conduct all of their daily business tasks. It saves the cost of renting external work space and decreases overheads considerably. This arrangement is often called a home office. Using space in the home for work can also have an advantageous impact on the tax bill. In some cases, employers offer certain incentives for those who work from home. The work space is clearly defined and separate from the rest of the home. Ideally, it should be a separate room. There has to be sufficient living space (i.e. space that is NOT used for work activities). The work space is used for professional purposes only. In other words: it is not used as living space. Furniture etc. need to be practical, functional and suitable for he work space. In some countries, personal objects in the room have to be limited to under 10%. If the work space at home is at the centre of all professional and occupational activities, some of the cost might be tax-deductible. When it comes to practical and appropriate design for the home work space, wallpaper for work areas have a significant role to play. In some countries, tax office employees even visit to check whether the home work space meets the official requirements. But even if you don't expect the tax man to come knocking on your door, it makes sense to choose the best workspace wallpaper for your profession. 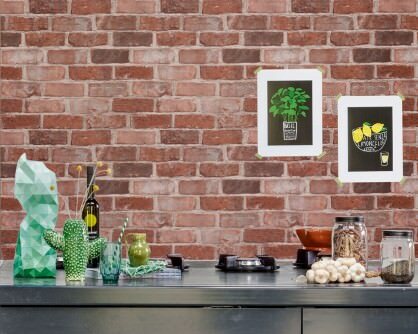 Very playful or romantic wall décor, for instance, isn't usually associated with work. 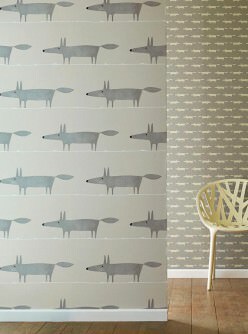 Having said that, the creatives amongst you obviously do not have to forgo stimulating and extravagant wallpaper designs! Just as long as they do no distract from the actual function of your work space! Whether it is a private office in an office building or a huge open-plan office with many desks and a lot of people working together - there are a few factors that should be considered when it comes to wall design. External offices could be housed in public premises or in buildings that are used solely for commercial purposes. In many offices there is a lot of public "traffic" - customers or suppliers going in and out. This means that fire regulations apply. In Germany, for instance, office wallpaper has to have flame retardant properties as stipulated in regulations DIN 4102 B1 or DIN EN 13501-1. This means that the manufacturer has to provide the relevant certificate. The cleanability of wallpaper for offices is also a significant factor for open-plan offices with public traffic. Wall treatments in those areas are obviously more prone to wear and tear. Folders might scratch the walls, visitors might lean against them, coffee might be spilt etc. etc. Furthermore, there is an especially great requirement for cleanliness and hygiene in public areas. Washability is a top priority for functional office wallpaper. In addition, they need to meet health requirements to enable staff and customers to breath safely. In open-plan offices, the wallpaper design and colour of the wall décor should be pleasing for all employees as well as productivity-boosting. 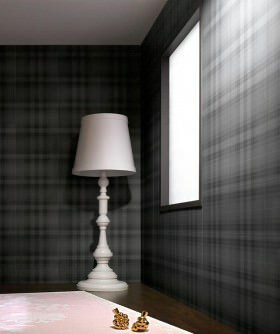 Very "loud" patterns and motifs can disturb the atmosphere. If you would like to order your office wallpaper from our Wallpapers from the 70s Shop, we would be more than happy to advise and support you with our expertise and our useful tools. 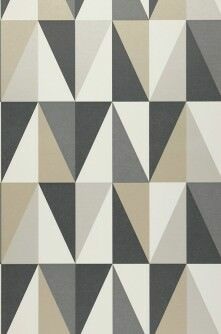 For instance, how about ordering (or printing out) pattern samples of our designer wall décor? Our architect service is available to developers of office buildings or interior designers for office spaces and will help you find the perfect solution for your project. If you require a certificate for fire protection regulations, we are happy to contact the manufacturer of your desired model and request it. We will be with you all the way and assist you with any potential issue to make sure that your office environment is a harmonious space in line with your requirements - with our stylish yet functional wallpaper for offices.